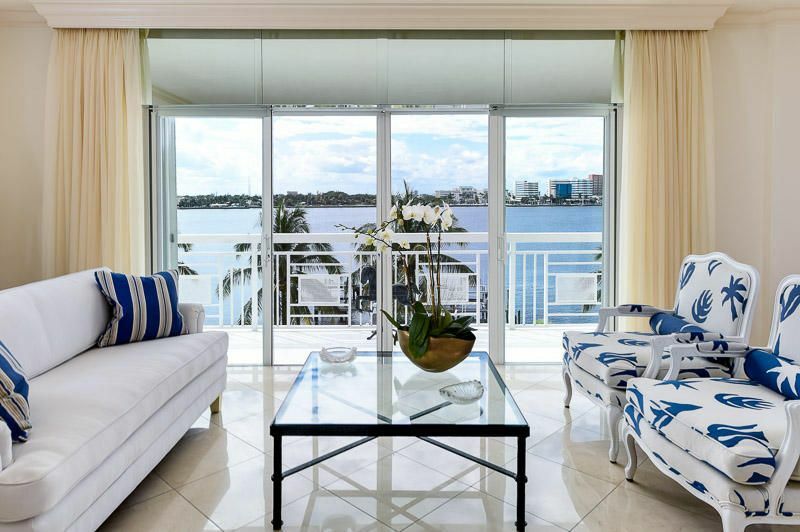 This stunning Palm Beach condo has great, unobstructed Intracoastal views. The living area opens to a balcony that runs the length of the building. When relaxing on the balcony, you will have a view of the water, pool, and lake trail. The master is on the corner and overlooks the Breakers Hotel. The master has two walk in closets and an upgraded bathroom. This unit includes a covered parking space. The building has a full time manager and a 24 hour doorman at your service. Enjoy your daily sunsets from this west facing condo. The MLS # is RX-10243660.